Now available online, new Mieko Mintz. 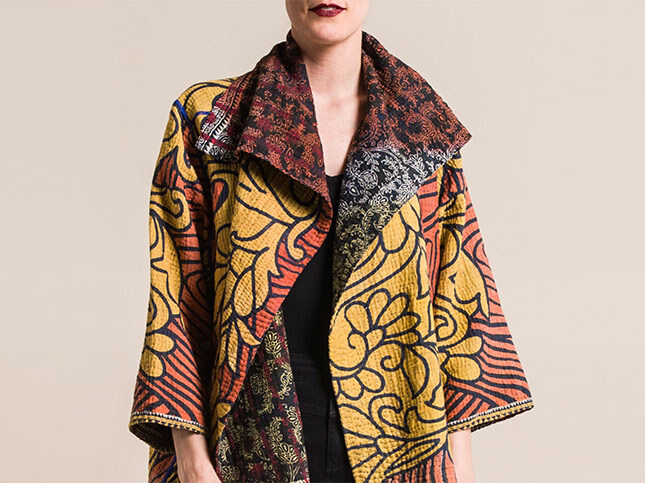 In preparation for Folk Art Market, we have a new shipment of jackets with shibori dye patterns on cotton kantha fabric. Mieko Mintz is sold online and in-store at Santa Fe Dry Goods, and the new styles are introduced to Workshop on the Plaza in Santa Fe, New Mexico.